Baseball is the only major team sport played in North America that does not have a time clock. At the major league level, teams play nine innings to decide the game. If the game is tied after nine innings, the teams will play extra innings to determine a winner. Although no time clock exists, Major League Baseball records the length of every regular-season and postseason game and, in general, games last about three hours. Baseball officials do not want the game to be played at a leisurely pace. When batters step out of the batter's box and when pitchers take extra seconds to get ready to throw, the pace of the game slows. If the game takes a long time because batters are hitting the ball and runners are moving around the base paths, many fans won't mind a game that lasts more than three hours. However, if the game has little action and delaying tactics, along with long meetings on the mound, are the reasons, fans can become annoyed. As a result, MLB officials instruct umpires to keep games moving efficiently. During the 2000 season, the average length of a Major League Baseball game was 2 hours and 58 minutes, according to MLB.com. Major league officials thought this was too long and told the umpires to speed things up. To speed the pace of the game, the league mandated such changes as not granting time when batters wanted to step out of the batter's box without a valid reason and demanding that pitchers throw the ball in more rapid succession. Major League Baseball got the results it wanted in ensuing years. The average time of a Major League Baseball game was 2 hours and 54 minutes 2001; 2 hours and 52 minutes in in 2002 and 2 hours and 46 minutes in 2003. The figures remained similar through the 2006 season. However, in 2007, the average length of the game increased to 2 hours and 51 minutes, and it has not been below 2 hours and 50 minutes through the 2010 season. 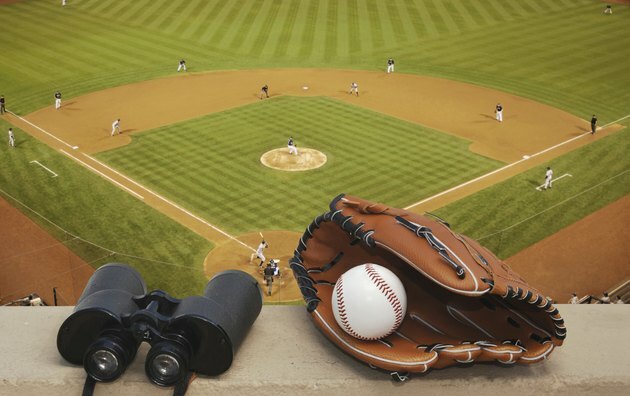 During the 1970s, the average time of a Major League Baseball game was approximately 2 hours and 30 minutes. The increase is related to several factors, including increased time between innings for TV and radio commercials. However, players also take longer between at bats and between pitches. Major league officials are concerned particularly about games that last more than three hours because many fans have to go to work or school the day after a night contest.